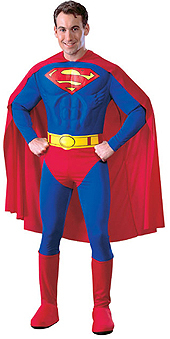 Act the super hero in this fantastic deluxe Superman costume. Comes complete with cape, muscle chest jumpsuit with attached boot tops and belt. Size: Small - Out of StockMedium - fewer than 5 available for next day dispatch.Large - fewer than 5 available for next day dispatch.